Company name Aromatech Gida Ve Ticaret A.S.
City Girne Mah. Irmak Sok.Maltepe San. Sit. and the Middle East: Azerbaijan, Bulgaria, Cyprus, Iran, Iraq, Kosovo, Lebanon, Uzbekistan, Romania and Syria. Significant and varied production capacity: flavours with or without colouring, liquids, powders, soluble forms and emulsions. Competitive pricing and invoicing in local currency. An R&D laboratory specialising in sweet and savoury flavours, benefiting from international knowledge of tastes and consumer trends and also offering products specific to the target market. A range of conventional products complemented by a range of natural and organic products. Company name Aromatech Flavours. Co.,Ltd. Aromatech Thailand was established in Bangkok in 2003. Thailand is a dynamic country whose leading industries are the agriculturual sector and processed food products. Aromatech Thailand now extends across South-east Asia. An experienced and accessible sales team. A development and application laboratory where we create and test our flavours and adapt them to local requirements. We also have great expertise in exotic notes and share this with the rest of Aromatech Group. A production unit, reducing our transport costs and optimising delivery times. This meets European and local regulatory requirements. Aromatech Thailand is approved by Thai FDA approval and is halal-certified. Company name Shanghai Apple Aromatech Flavors Technology Co., Ltd.
﻿The joint venture between Apple Flavor & Fragrance Co. Ltd and Aromatech Group was created on 11 October 2011 following receipt of the company's Business Licence. Ltd, established in Shanghai in 1996, is now the leader in food flavours in China. It also has a presence in the United States with expertise-based subsidiaries (for example, raw materials from biotechnology, flavours and ingredients). In 2003 Aromatech opened a subsidiary in Hangzhou to access a fast-growing Chinese market. In 2010 Apple Flavor & Fragrance and Aromatech met and drew up the initial plans for their future partnership: synergies were identified and the first agreement drawn up in respect of representation of Aromatech products sold in China by Apple Flavor & Fragrance. One year on and the two companies have decided to extend their cooperation, bringing together their skills by way of a joint venture. Its objective: to develop flavours for the Chinese market, receiving the benefit of French quality and expertise and knowledge. 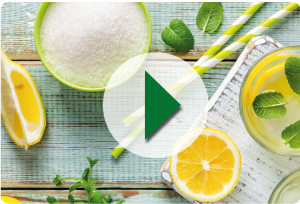 This unique association brings together the commercial strength and industrial performance of Apple Flavor & Fragrance and Aromatech's technological expertise, particularly with natural and organic flavours. An R&D laboratory operating to Aromatech's standards has been set up within the premises of Apple Flavor & Fragrance. In this way, products developed benefit from high technological added value and ensure full compliance with the growing demands of the Chinese food market. Aromatech & FSL (Food Specialities Limited) have built a strong partnership in 2013. Whan the R&D and industrial expertise in meeting sales/marketing knowledge and distribution specialist. to market more than ten areas.